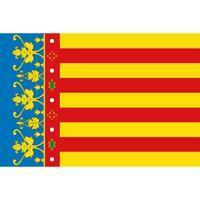 Valencian Community (autonomous communities). It has a population about 5,117,190 inhabitants, the area is about 23,255.00 km², its density is 220.05, its unemployment rate is 21.45, its coastline length is 518 , its number of provinces is 3 , its number of municipalities is 542 , its gdp is 102,941.91, its average altitude is 476 , its capital is Valencia, its president is Alberto Fabra, its number of unemployed is 425,750 , its activity rate is 60.11, the number of foreign tourists in the last year was 5,383,340 , the number of nacional tourists in the last year was 15,569,698 , the average house price is 1,116.00. There is information in Classora Knowledge Base about 11 rankings, reports and surveys.